Look around the city and you will see them everywhere — rainbows draped from home fronts and hanging in businesses. Rochester has many Pride flags on display, boldly proclaiming an open community. This city has witnessed victories for many groups that have lacked a voice for themselves. The civil rights movements for women and African Americans have both transpired here. Rochester is also unique in its integration of the Deaf community, and Rochester's LGBTQIA+ community is no exception. 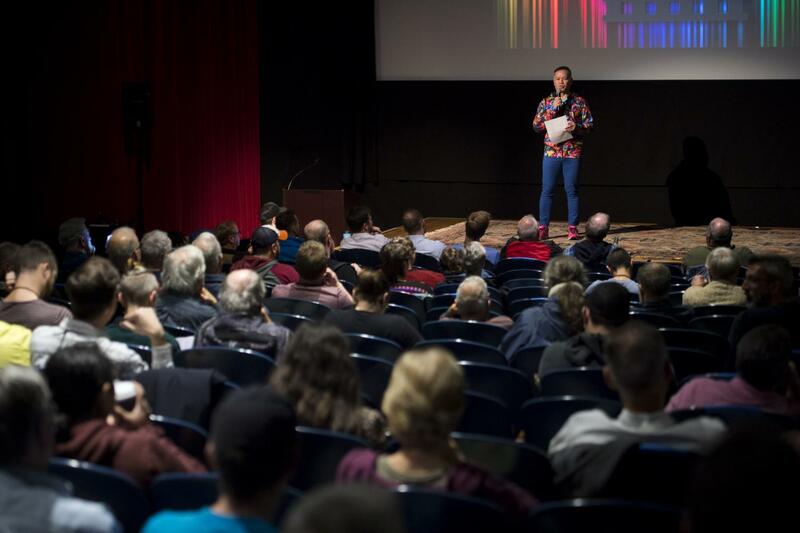 This past month, Rochester’s annual LGBTQIA+ film festival ImageOut celebrated its 25th year.  ImageOut is the oldest LGBTQIA+ film festival in New York state, even among the many festivals in New York City. 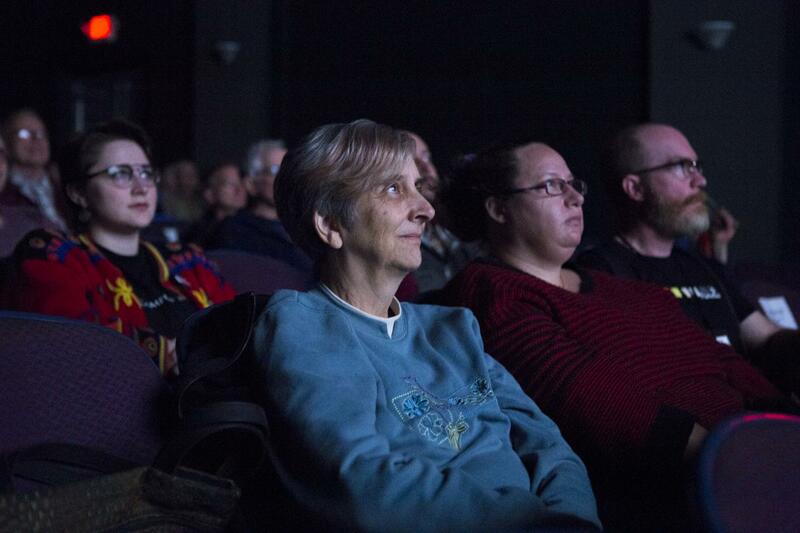 ImageOut brought artists and films from all over the world to Rochester to bring an unparalleled movie-watching experience to the community. "[ImageOut] is a forum for LGBTQIA+ filmmakers to get their work out there." 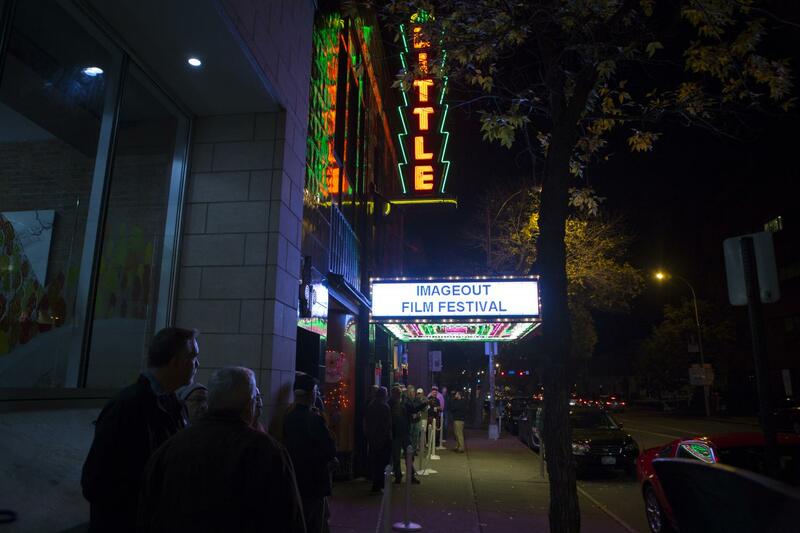 ImageOut — originally the Rochester Lesbian & Gay Film & Video Festival – began as an annual film event. However, ImageOut is much more than just 10 days of fabulous films every year. Powered by volunteers from the community, ImageOut also has an ongoing art committee known as ImageArt. ImageArt curates and puts on several shows every year in collaboration with Gallery Q and Visual Studies Workshop. All art is welcome, including student work, and resident artists occasionally come in as well. Encompassing all forms of art, ImageOut also publishes a catalogue of LGBTQIA+ prose and poetry known as ImageOutWrite. RIT actually hosted ImageOut screenings on campus in 2009. Additionally, several of RIT’s own faculty are involved in ImageOut. The art committee’s most recent show “We Are Family” was shown at Visual Studies Workshop. Larkin personally curated the show. Larkin completed his own undergraduate degree at RIT and has taught photography at the school for 26 years. Rochester born and bred, Larkin witnessed the changes and developments in Rochester’s LGBTQIA+ community over the years. The size and enthusiasm of Rochester's LGBTQIA+ community helped rapidly propel the ImageOut festival, which grew from a two-venue event to a five-venue one in just eight years. Attitudes have changed dramatically since then, and audiences are more open to LGBTQIA+ presence in film. Unfortunately though, this audience seems to be waning — or rather, aging. The average audience member to an ImageOut screening is quite wrinkly. ImageOut tried promoting itself at local colleges and high schools. They even have a series of films that are free to anyone under age 21. The Q Center put ImageOut pamphlets out, but students still weren't coming out. This is in stark contrast to the festival's earlier years, where the theaters were often filled to capacity. Larkin believes that new methods of consuming media are largely to blame; most young people today didn’t grow up only going to theaters to see movies; Blockbuster could supply your every need — until it was replaced by easily streaming anything you desire straight to your comfy dorm room. What your dorm room can’t stream, however, is your fellow audience members. 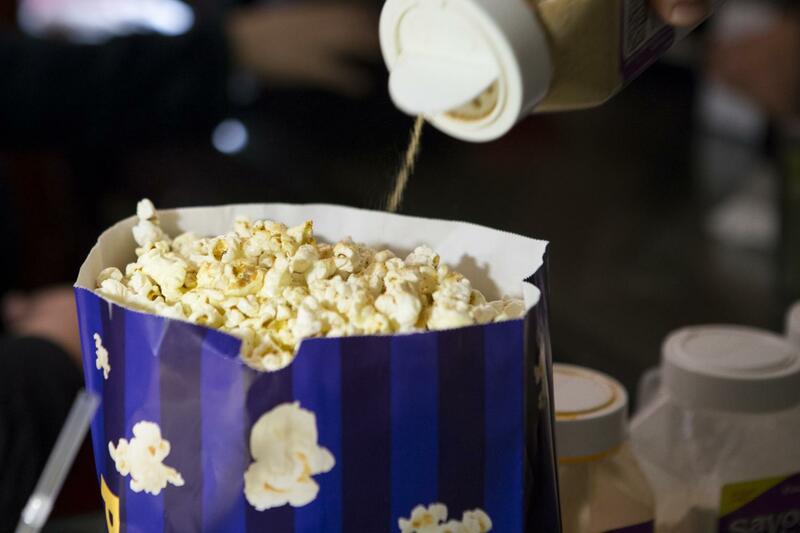 “The difference in ImageOut is that you’re going to a theater and you’re with your community that you don’t even know is your community so it’s a really great feeling,” Larkin said. He explained how cinema helped bring the Rochester LGBTQIA+ community together as his generation was not so fortunate to see themselves represented on the screen. “It’s a forum for LGBTQ+ filmmakers to get their work out there that is never going to be shown in mainstream theaters or streamed. It’s [a] really great unique opportunity to see things you’d never see any place else,” he said. The festival's films present a wide variety of stories. The 2017 ImageOut festival featured 39 programs, all exploring different facets of the LGBTQIA+ experience. 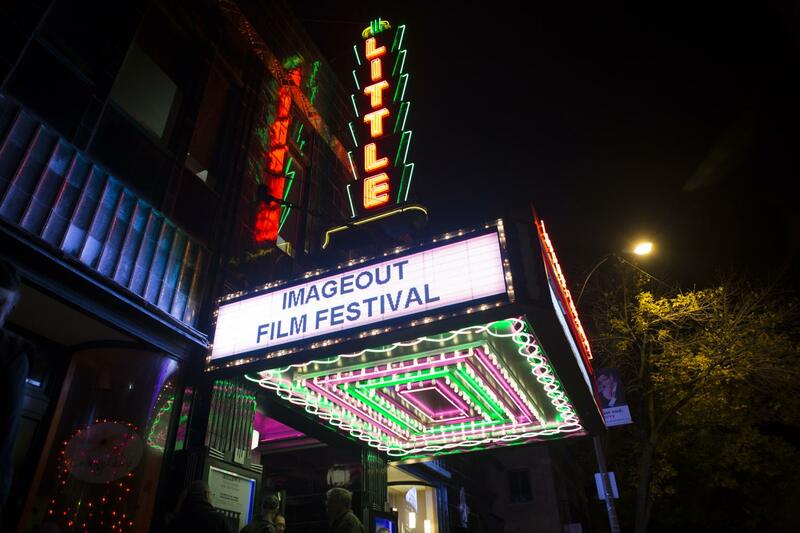 Documentary features, narratives, shorts — ImageOut had it all. The festival's opening night featured the film "Princess Cyd," a humanist coming-of-age drama about a high school girl discovering her identity and sexuality while staying with her aunt. The film's director Stephen Cone — who is gay himself — spoke at a panel directly after the movie, where he discussed his creative process and took questions from the audience. This level of access to the filmmakers inspires a level of connection that can't be matched by streaming or a typical theater experience. ImageOut's curators thoughtfully select a variety of films that represent different aspects of the LGBTQIA+ community. For example, this years’ festival featured a series of shorts that focused on trans women. Contemporary celebrities have sparked discussion of the trans community across Hollywood tabloids. Larkin is critical of what this publicity does for the LGBTQIA+ community. Like well-buttered toast, representation should be spread to all members of a community. For example, 2016’s Academy award-winning film "Moonlight" was revolutionary in its portrayal of gay black men from low-income neighborhoods. But even with films like "Moonlight," representation for the LGBTQIA+ community still has a very long way to go. "We have to often times struggle for it," said Jess Empey, a fourth year Animation major. "You really don't see it too much and if you do it's like 'we freak out over they hugged! They held hands! They were really close!'" Many mainstream TV networks and film studios censor queer relationships out of their content because it is seen as an aggressive political agenda by some viewers. And if shows do have queer characters, it's often not to give the queer community their own voice. The majority of showrunners and media executives are not LGBTQIA+, and this disconnect shows. "Even when it's gay, it's straight," Empey said. Many queer students feel boxed in and pressured to watch what little pieces of media do represent them. "Gay's not a genre," said Empey. "Even within the LGBT community there's this big issue of ‘Ooh it's gay. If you're queer you should really be watching this’ when it might not be the type of thing you're into and it also might not actually be good representation," said Rose Flynn, an undeclared fourth year student. How to actually represent the queer community well is a complex question that needs to answered. Many feel the next biggest step for their community would be to simply making queer people in the media commonplace; seeing them should be natural and normal — not a huge trendy twist that inspires controversy. While ImageOut and other queer community-centric festivals may flourish, they have yet to really break the barrier into the mainstream. One of the most common devices of ImageOut's films is the act of coming out. Larkin himself came out in one of his undergraduate classes here at RIT through a photography assignment. "You go through a phase where you want to scream it from the mountaintop at some point." Now, Larkin has seen around ten students come out similarly through their photo work in his class. As terrifying and brave as coming out in a classroom full of your peers most certainly is, it may not be the most difficult place to claim your identity; college is a freeing time of personal exploration. Your home environment is very often not. Most people have known their parents their entire life, and spent a significant amount of time with them. It is a unique human bond — and can be just as uniquely complicated. Our parents carry with them their parents’ parenting. It’s difficult to see past what you grew up with — even if it’s for your own child. “You think that like you failed as a parent. I could understand that,” Larkin said. “You want your kid to turn out perfect or just like you." Coming out to his own parents, however, was a different story, at least at first. Larkin encourages students to talk to their family members about their identity if they are comfortable. A life of secrecy with those closest to you is a hard and lonely one. “I think, of all people, your parents specifically will make an effort because love is love, you know, as cliche as that sounds,” Larkin said. Maybe some parents have found themselves in an ImageOut film screening. Maybe afterwards they went home and asked questions, listened and tried to understand their child. The films selected by ImageOut for their festival are beautifully crafted and extremely human. The filmmakers of these pieces have striven to tell their stories. Their own personal stories, yes, and stories of being LGBTQIA+. But most importantly, they tell stories of being human. Those stories are the films we need to see. No matter how you identify or what your orientation may be, there is something for anyone and everyone at ImageOut.